Khanjars form part of Omani men's national dress and are still worn today, using a belt to tie them around the waist. The blade is not as curved as the scabbard. 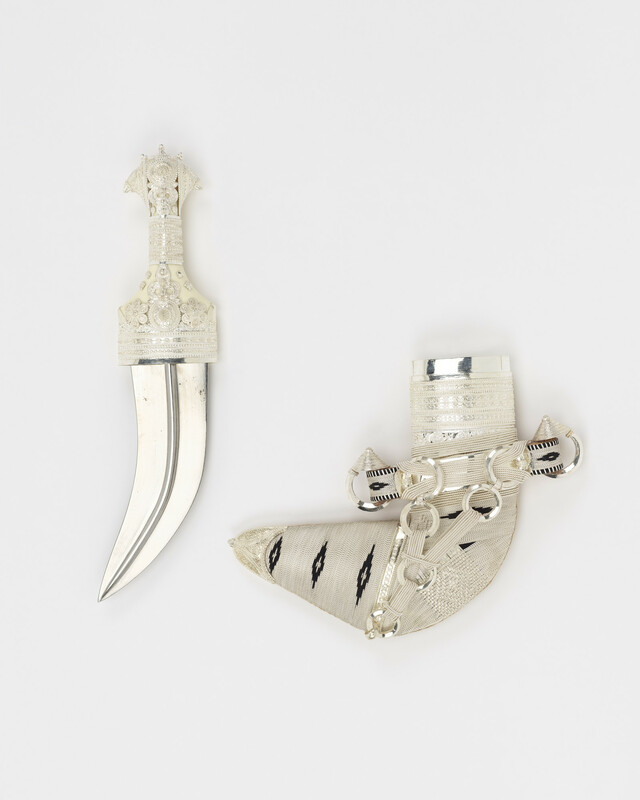 The khanjar is a sign of status; only the wealthy, including royalty, might wear one made of gold or silver, and it also forms part of both the Omani royal families insignia and features on the Omani flag.